Over forty years of sailing and marine construction experience produced the Flying Scot®, a Sailing Hall of Fame design. 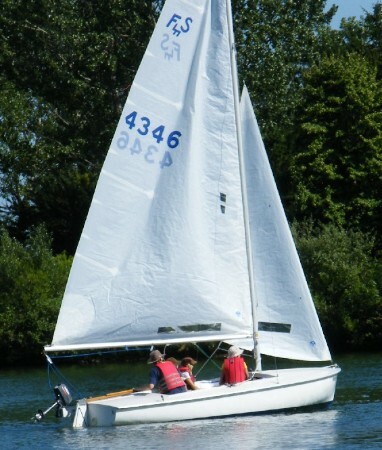 Its perfect for family trips, single-handed fun, and an excellent racer. It can be trailered behind almost any vehicle and easily launched in just inches of water. It is extremely stable and a great first boat for a family. It is a fast boat anyone can sail! This Flying Scot is in bristol condition. It has always been stored under cover and has been lovingly cared for.